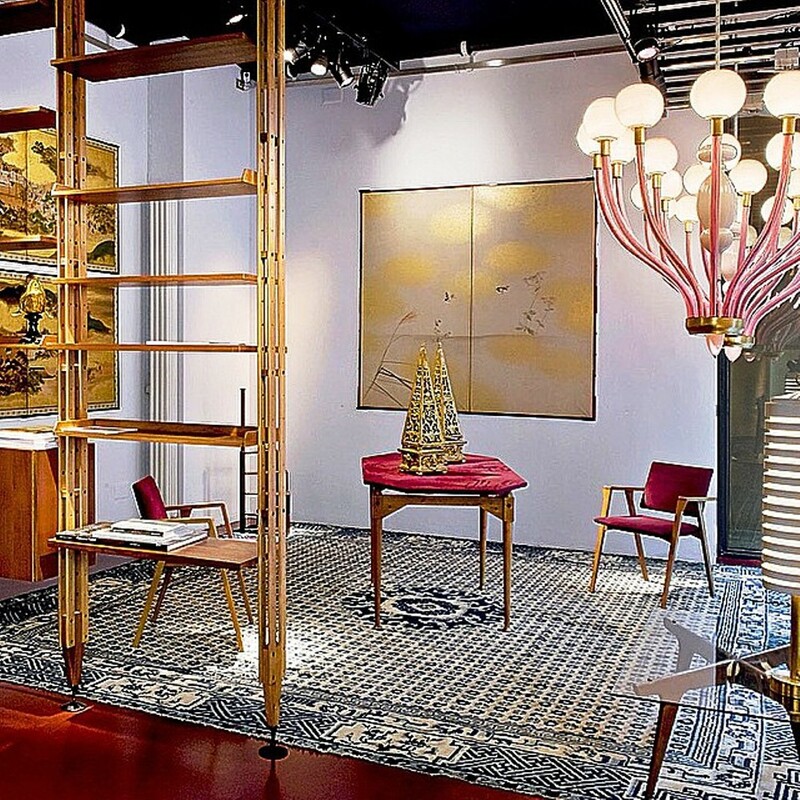 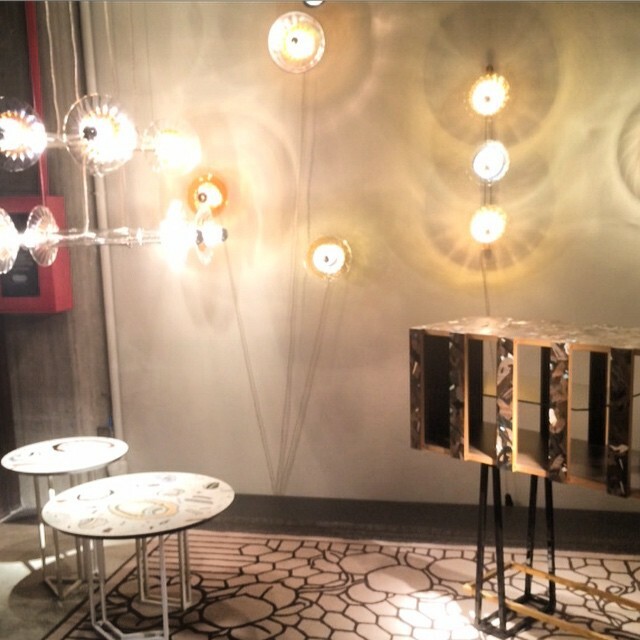 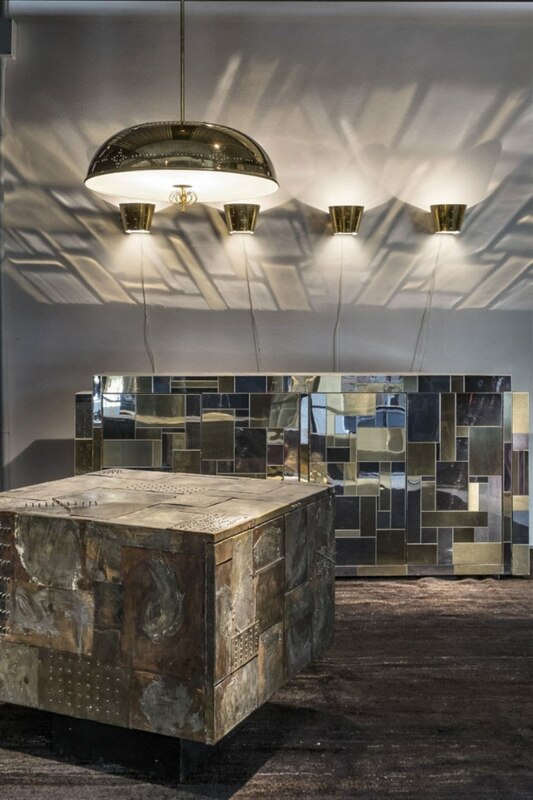 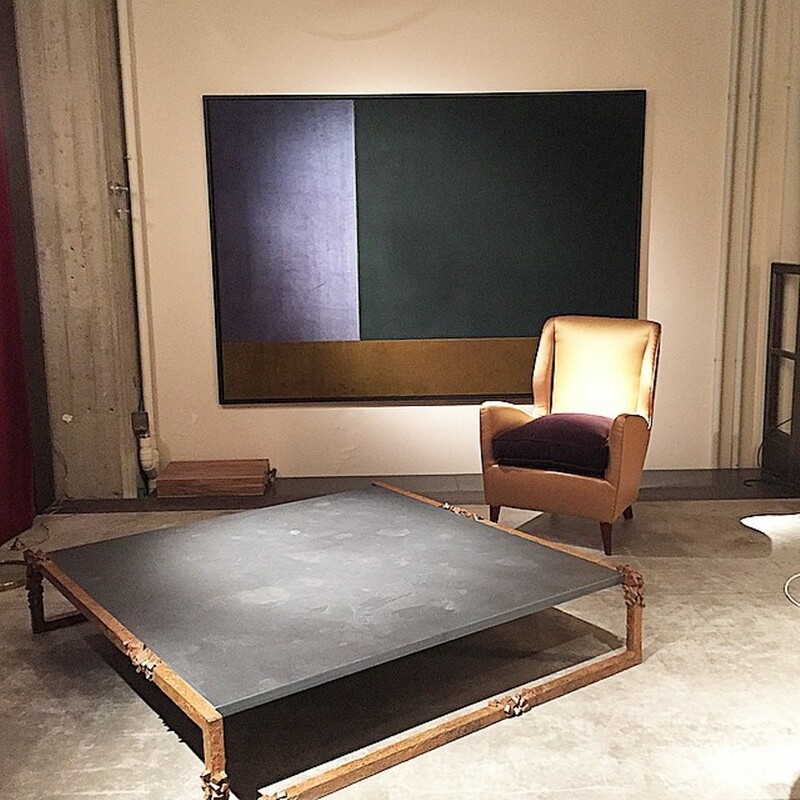 Nina Yashar is Milan’s top design dealer and her Nilufar Gallery in Via della Spiga has pulsed as the epicentre of mid-century gems and the hot contemporary designs for the last 15 years. 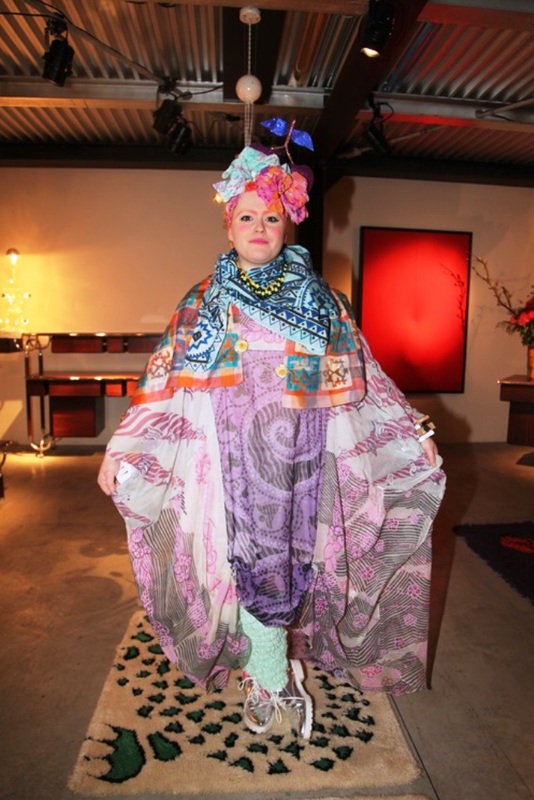 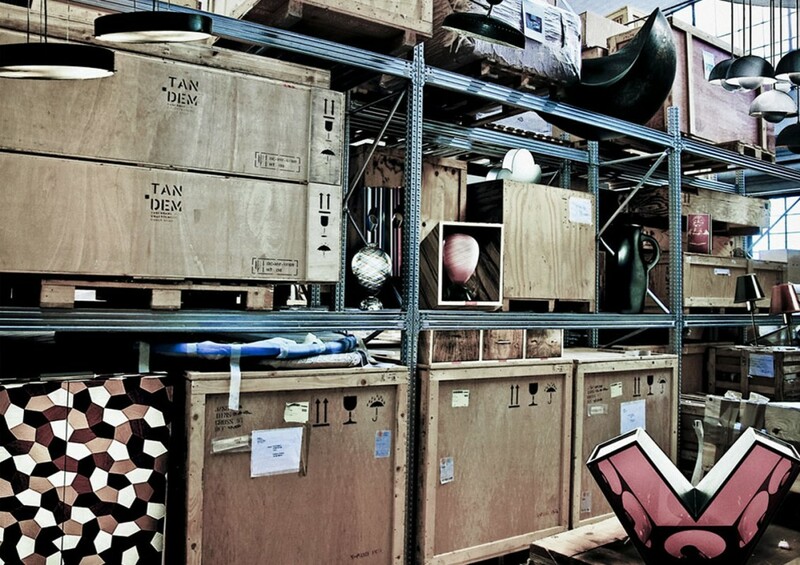 Her vast collection has been gathered and stockpiled over the last 30 years, in a 1,500 square metre warehouse north of the Garibaldi train station. 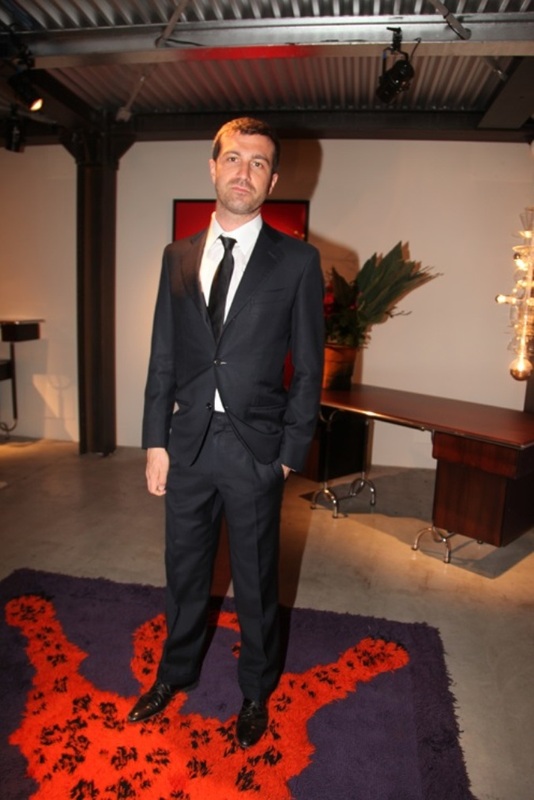 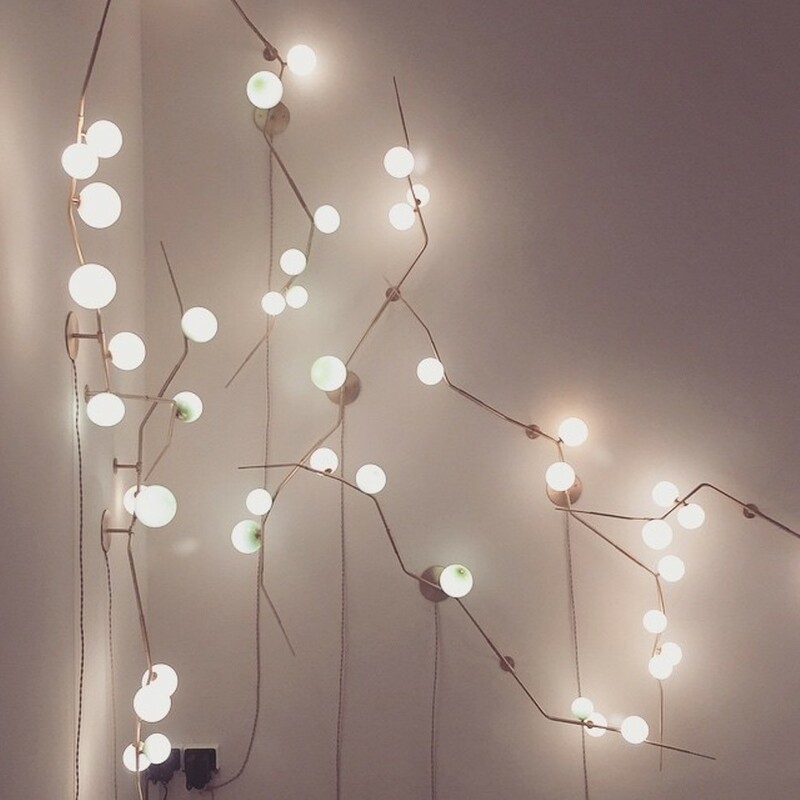 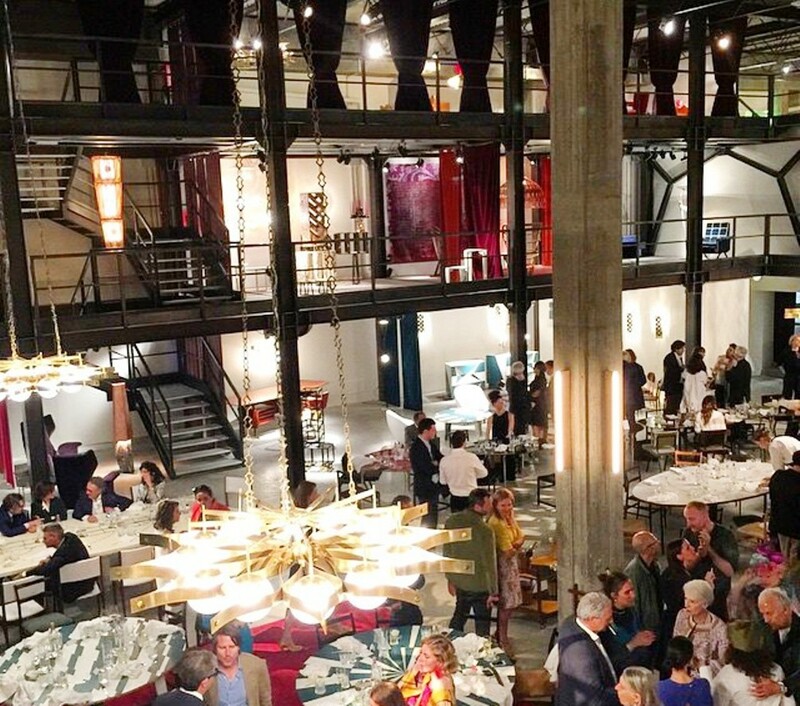 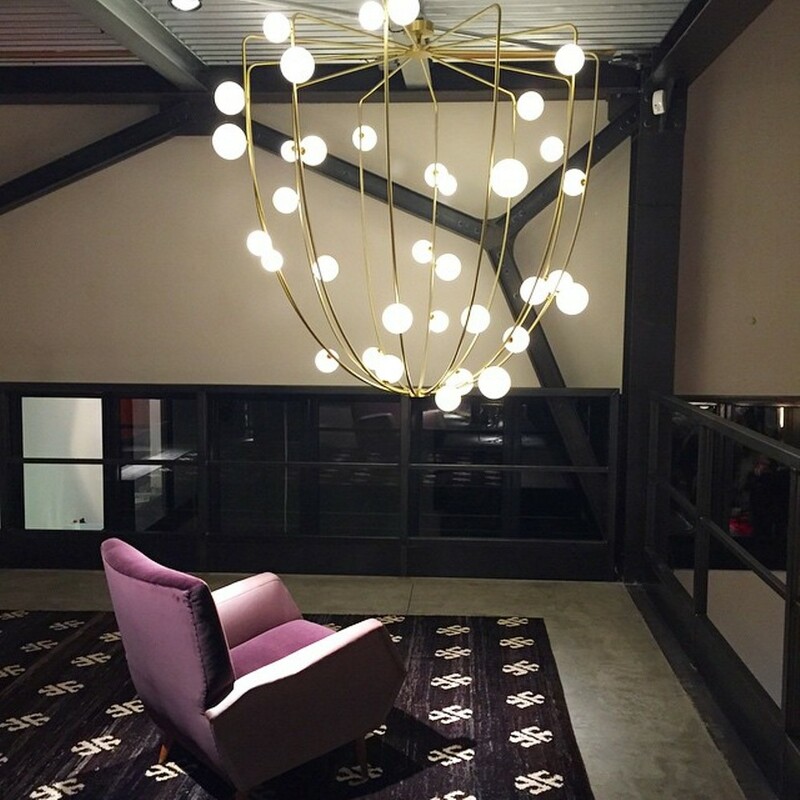 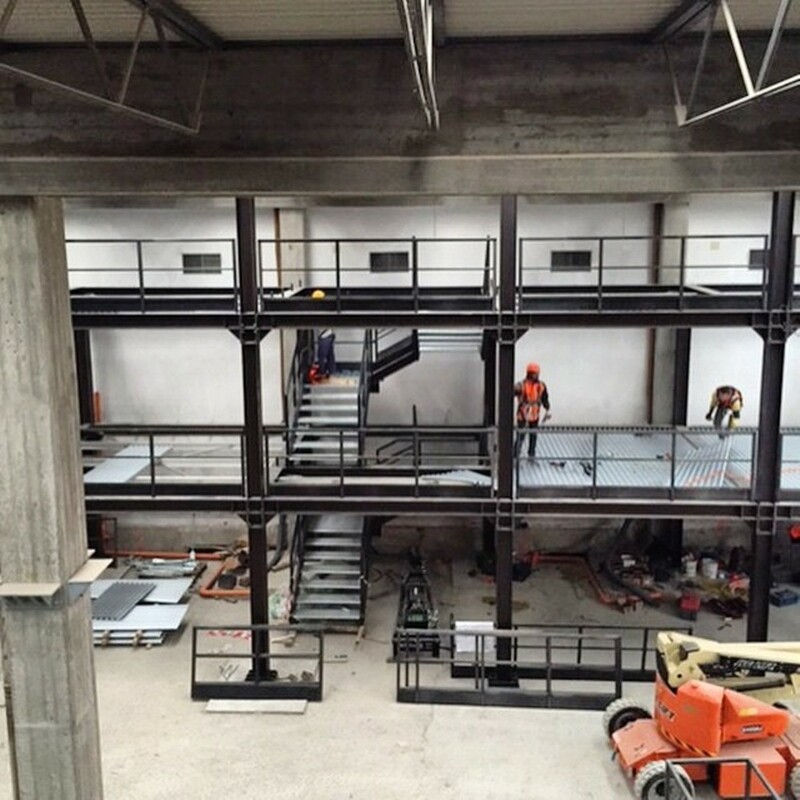 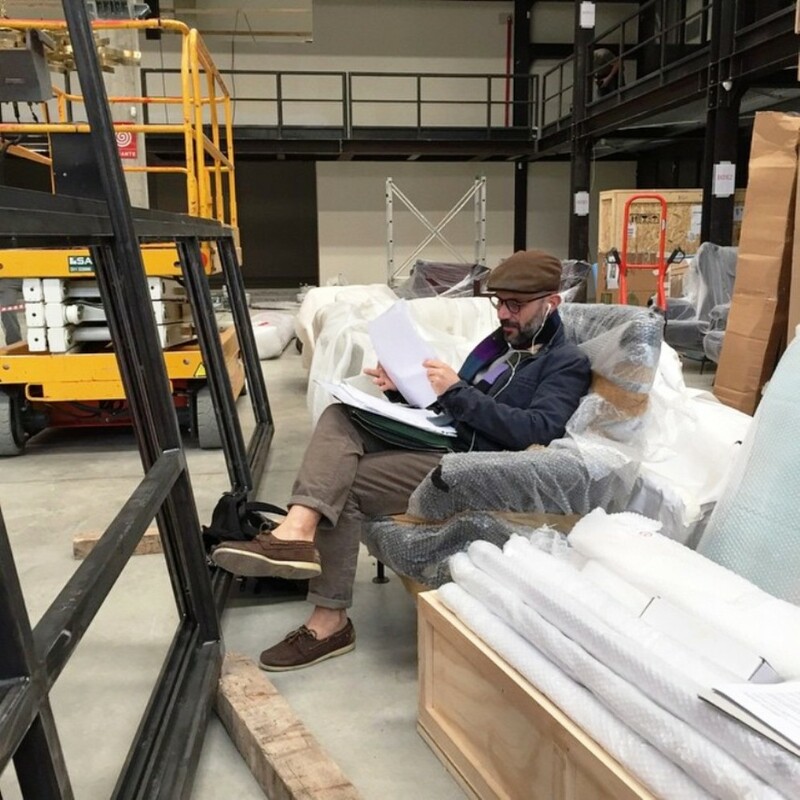 Up until now, the ex-industrial space was used just for Yashar’s own sourcing purposes. 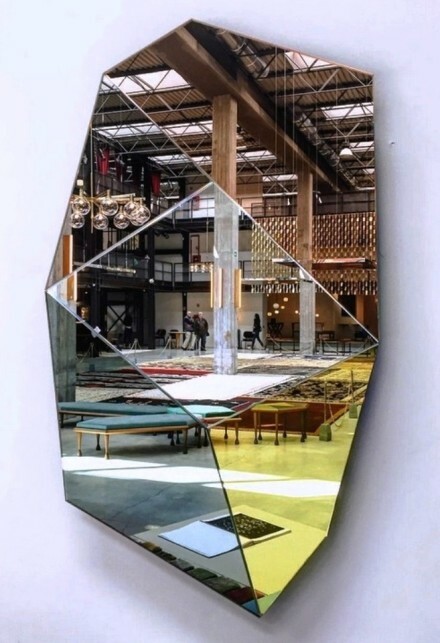 She has finally flung open the doors ( for the first time ) to “Nilufar Depot ” a three story treasure trove featuring 3,000 pieces of historic and contemporary design, conceived by many of the young designers that Yashar has championed over the years. 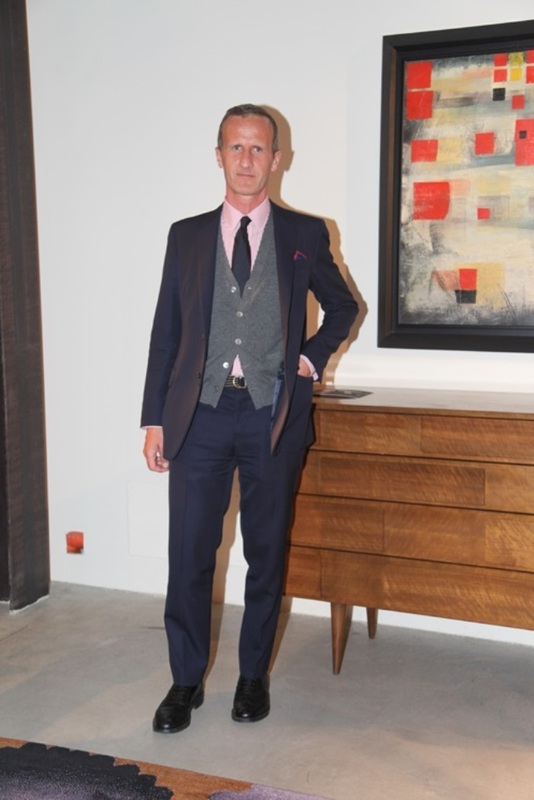 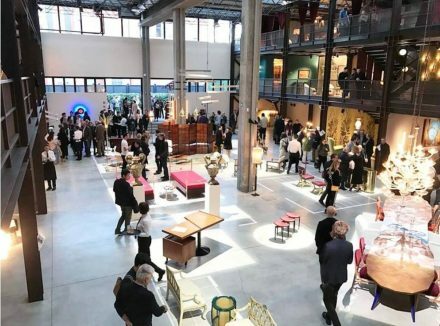 The long desired new space is intended for logistic and display optimization of the collected pieces, in a location that brings out the eclectic and stylish mood of the collection. 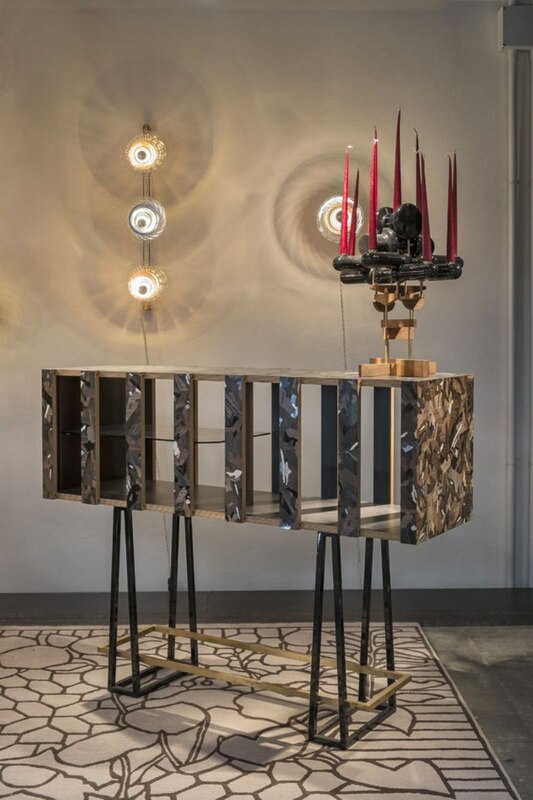 Designed by Milan-based architect Massimiliano Locatelli (whose furniture she has frequently been shown in her Via della Spiga gallery), the interior configuration was inspired by Milan’s famous Teatro alla Scala ( opera house ) . 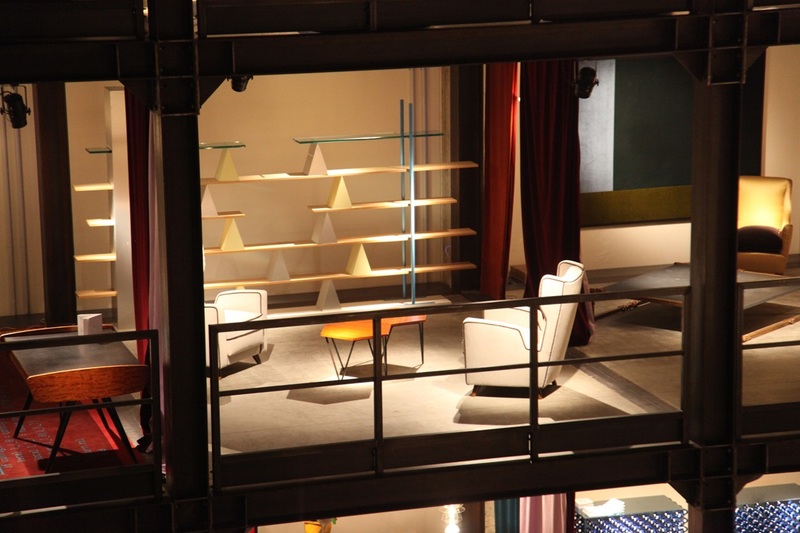 A central cement floored atrium is surrounded by three storeys of black metal balconies in which small furniture scenes are illuminated by neon lights designed by Marco Rizzuto. 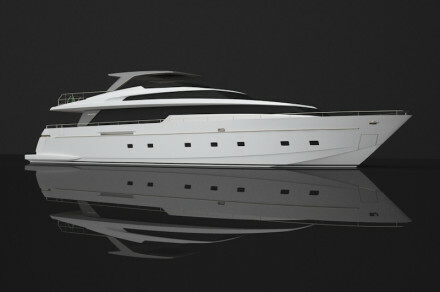 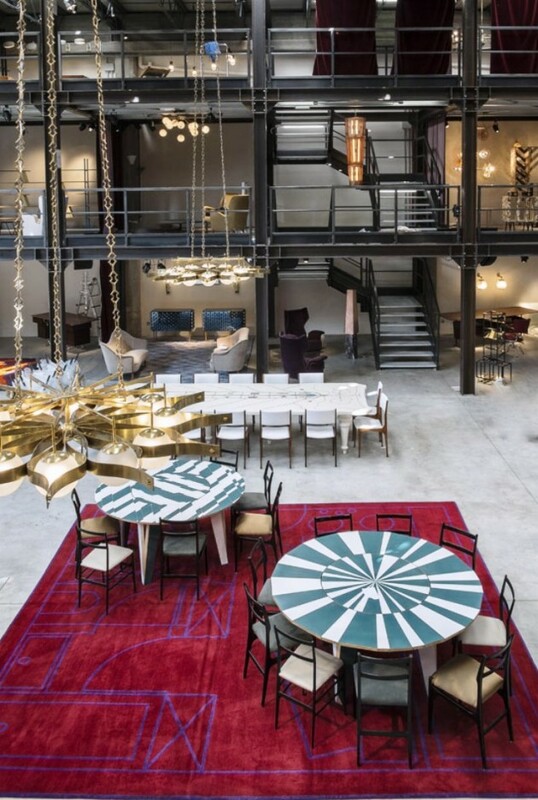 The space is imposing, dramatic and yet practical. 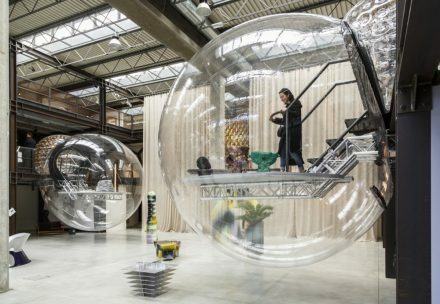 The configuration permits an easy scan-viewing of the massive stock from below, while curtains made from a techno-plastic material swathe each stall, just like the booths at the famous ballet theatre. 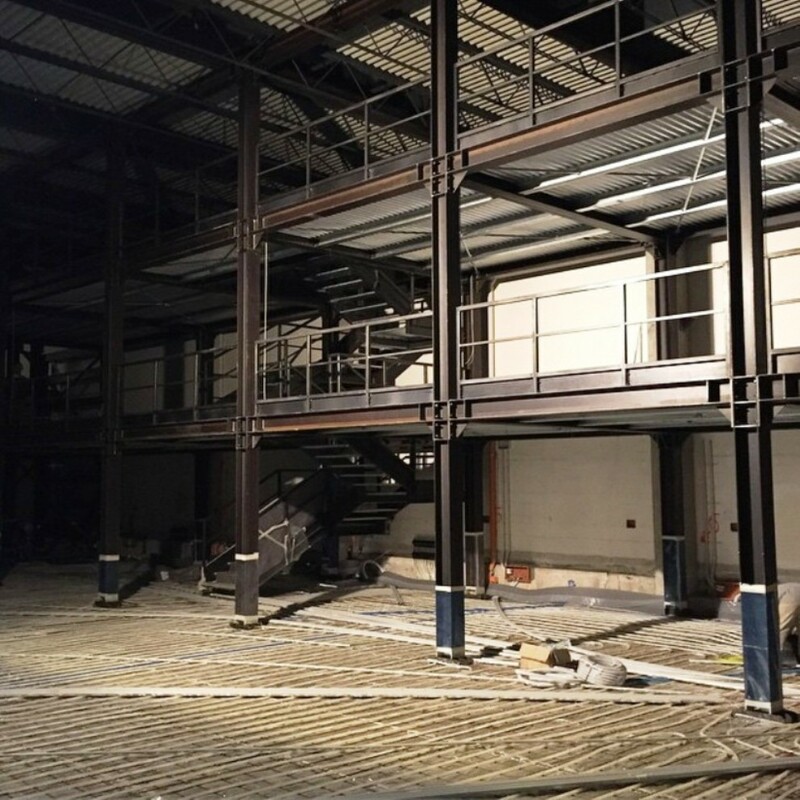 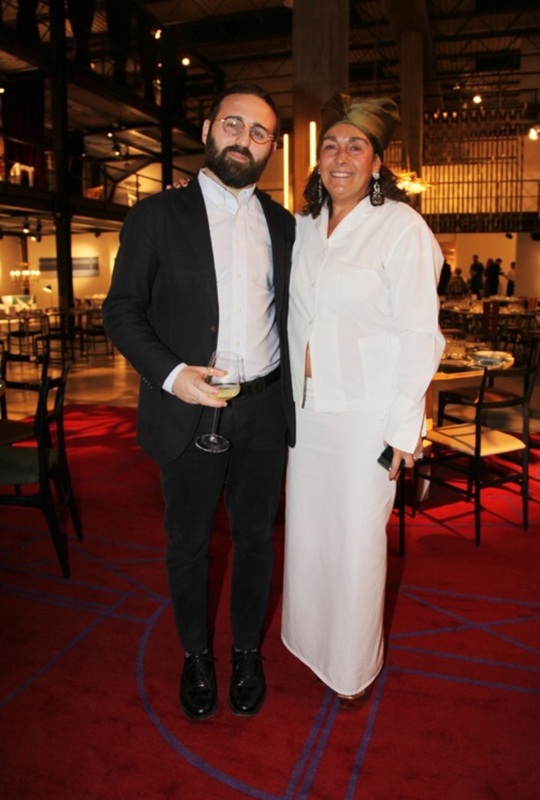 The location, which features a stage with a six-metre-tall brass curtain designed by artist Leonar Antunes, has been conceived to host exhibitions, art and artists going forward. 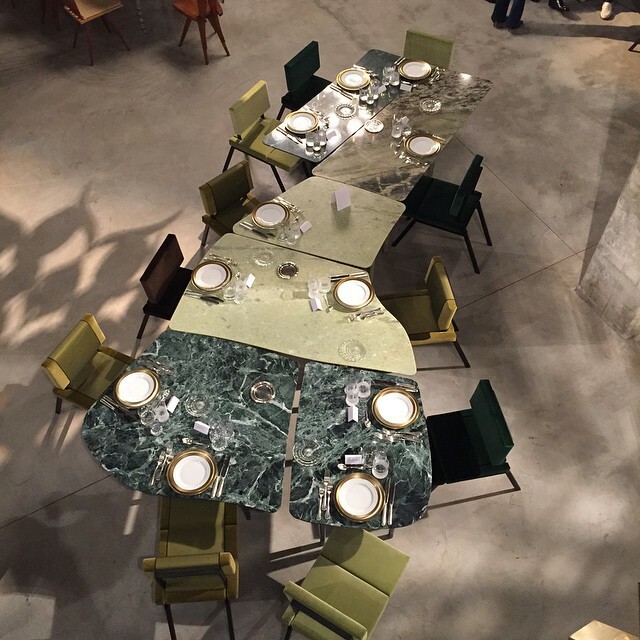 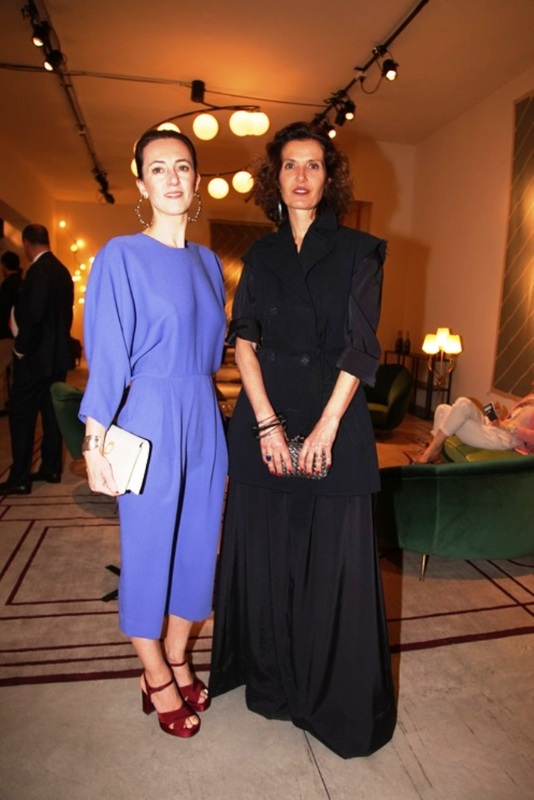 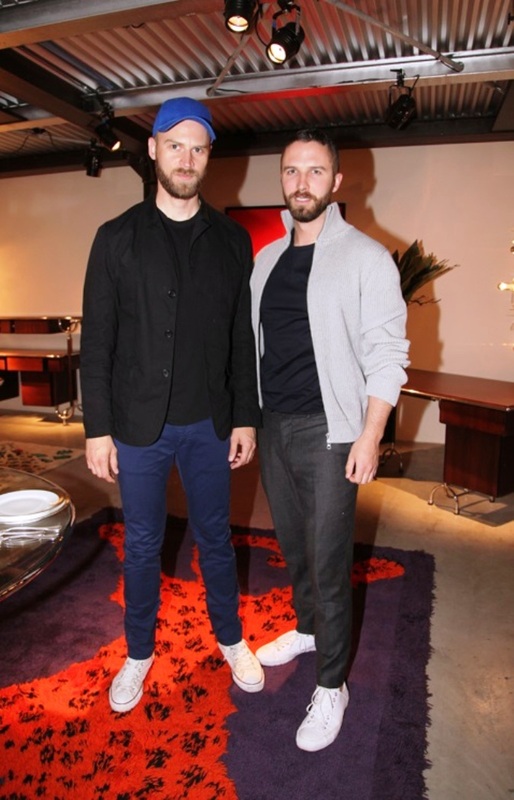 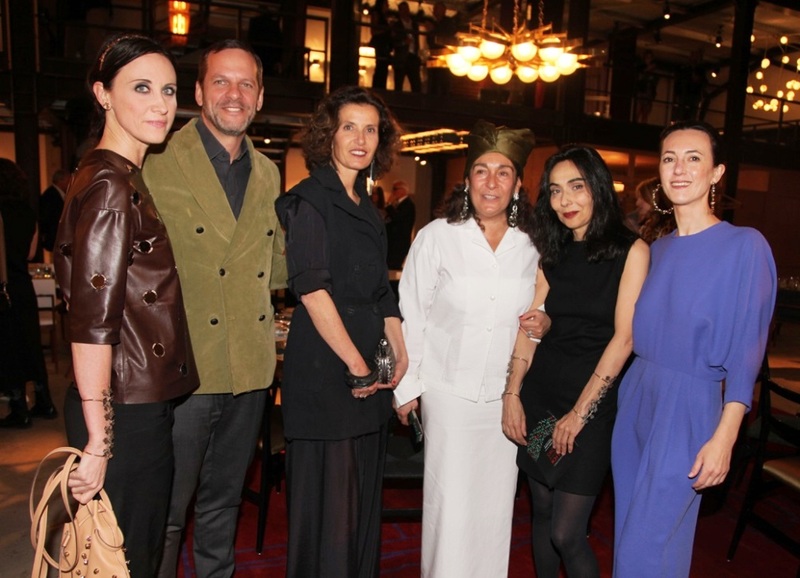 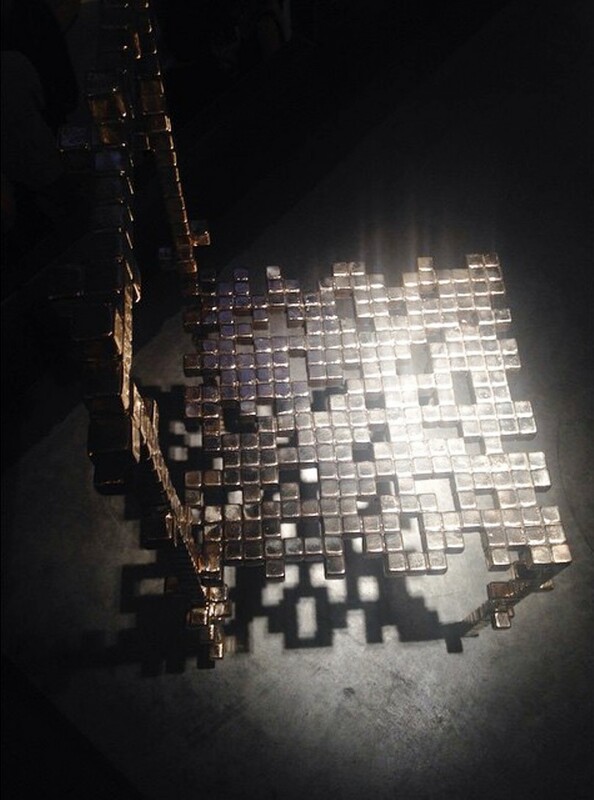 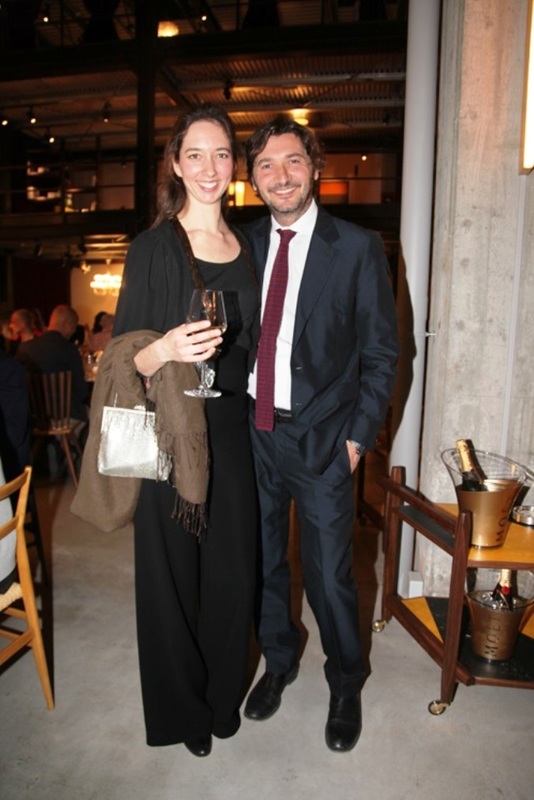 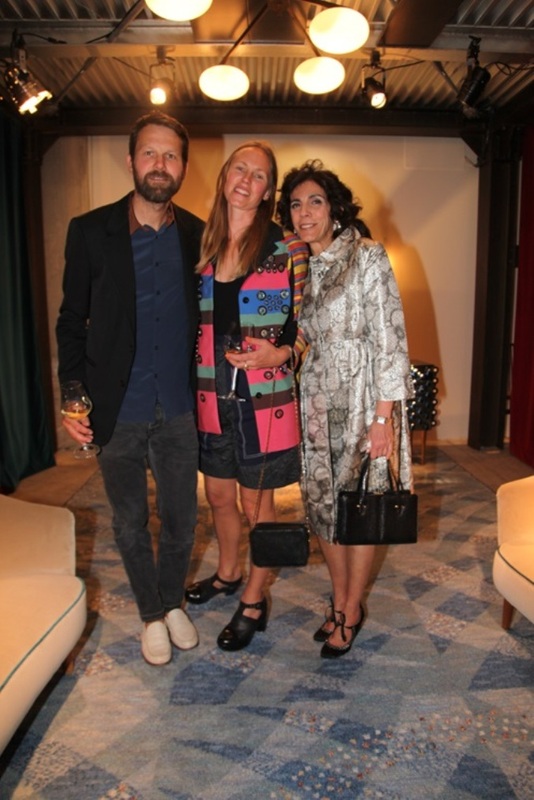 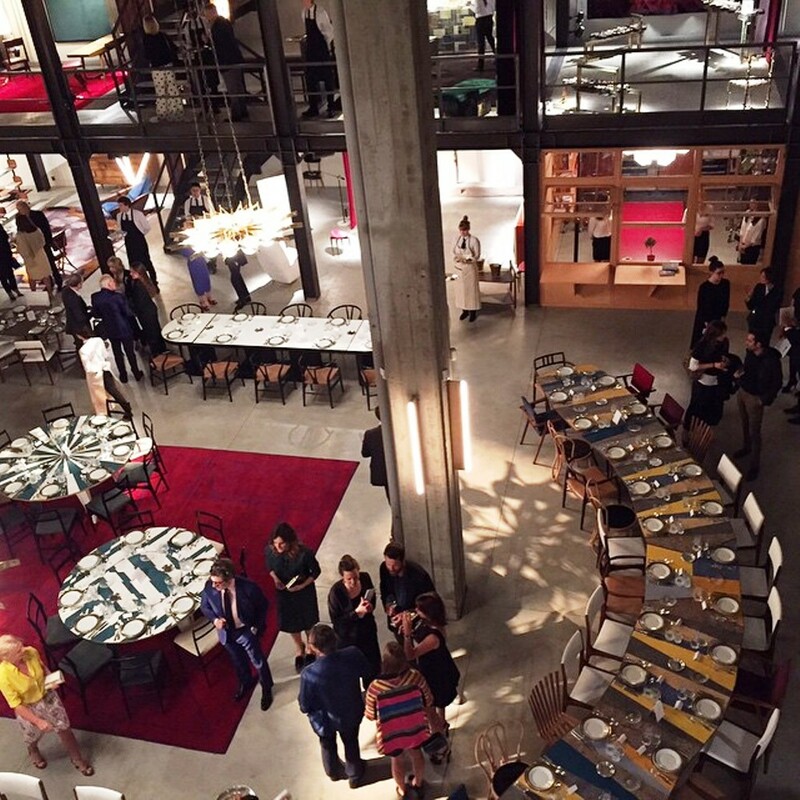 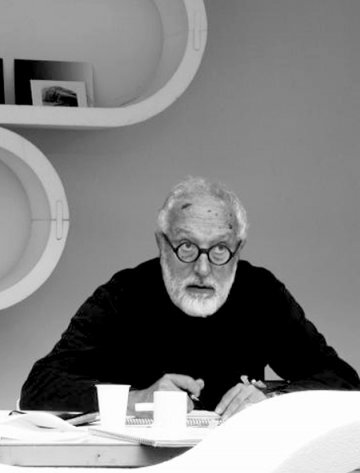 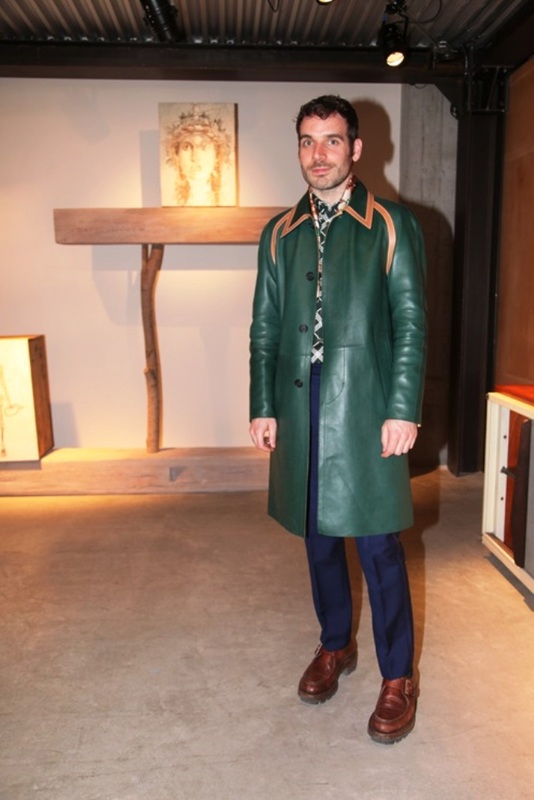 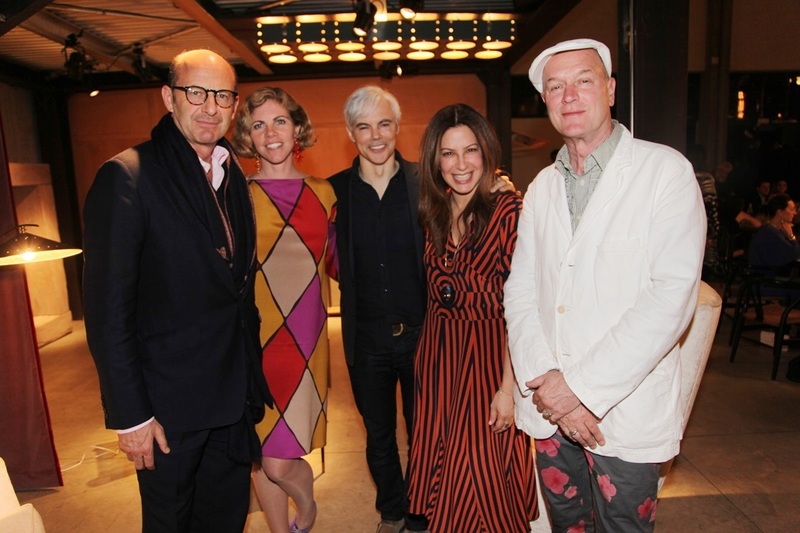 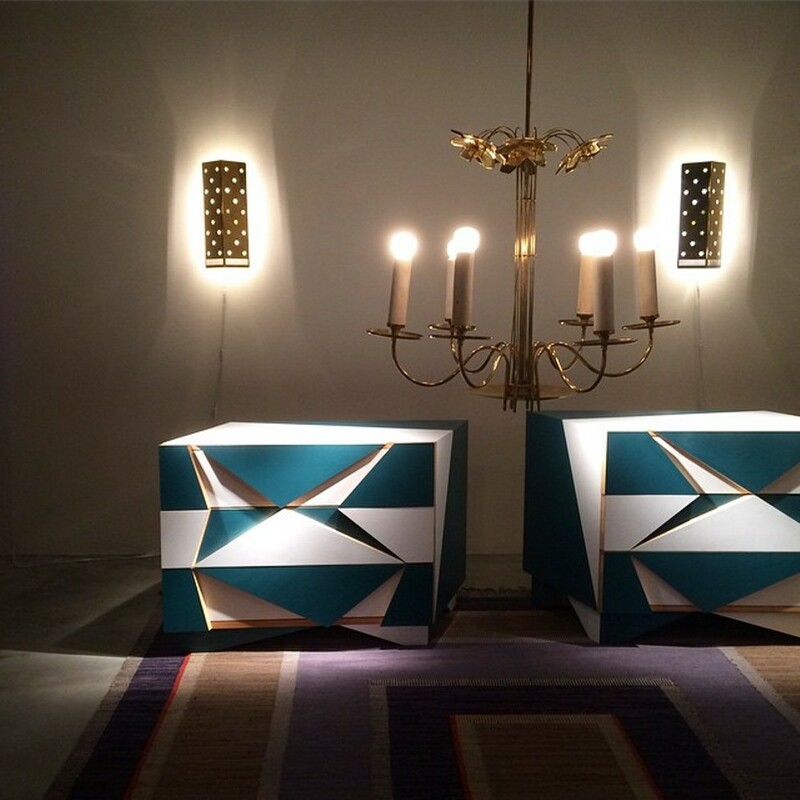 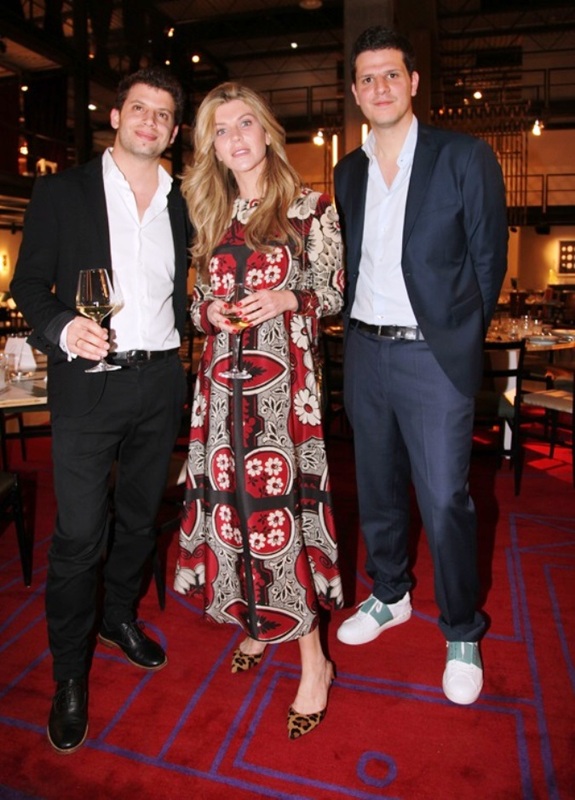 The launch event, a dinner which took place last night at the beginning of Salone del Mobile, featured table scenes designed by Martino Gamper, another Nilufar gallery protégé. 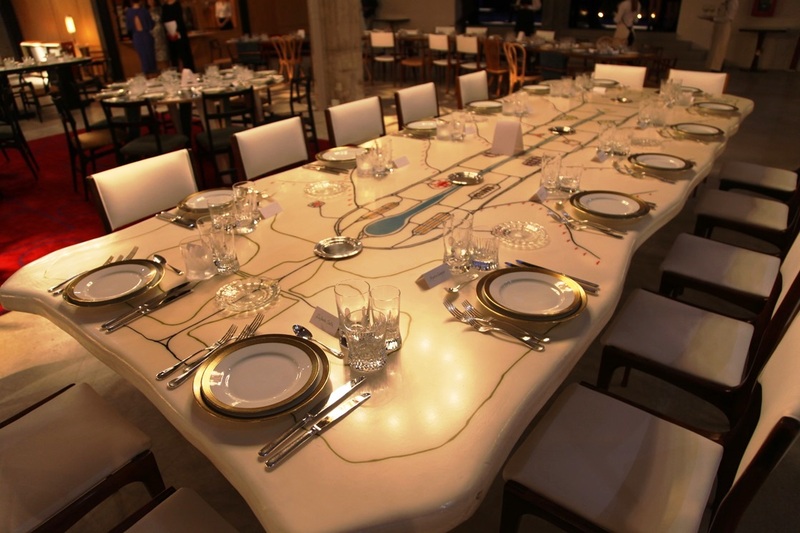 Each table was adorned with enormous 19th-century napkins, avant-garde glasses and menus signed by the designer. 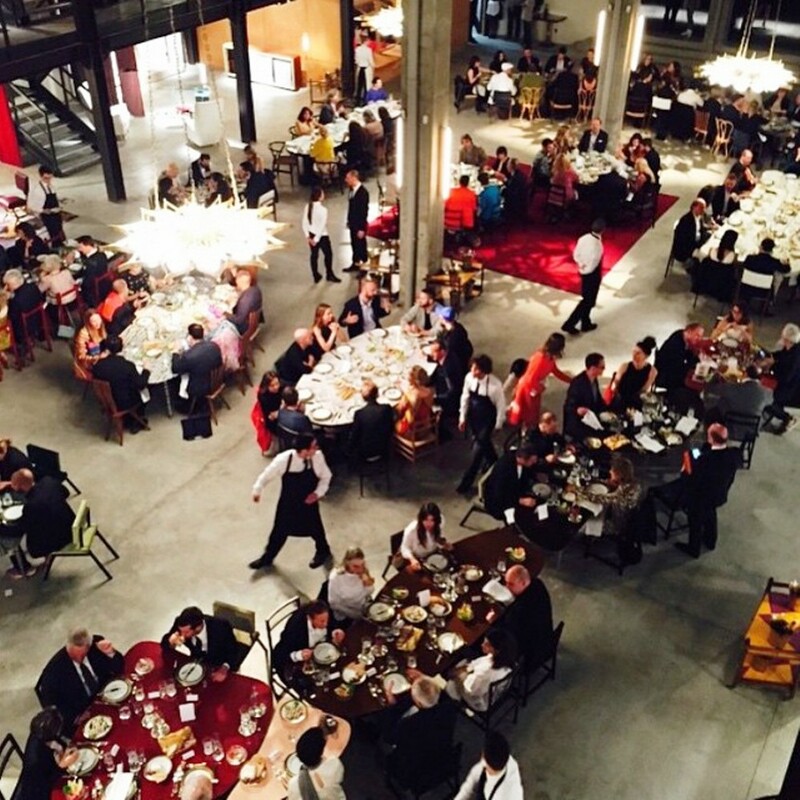 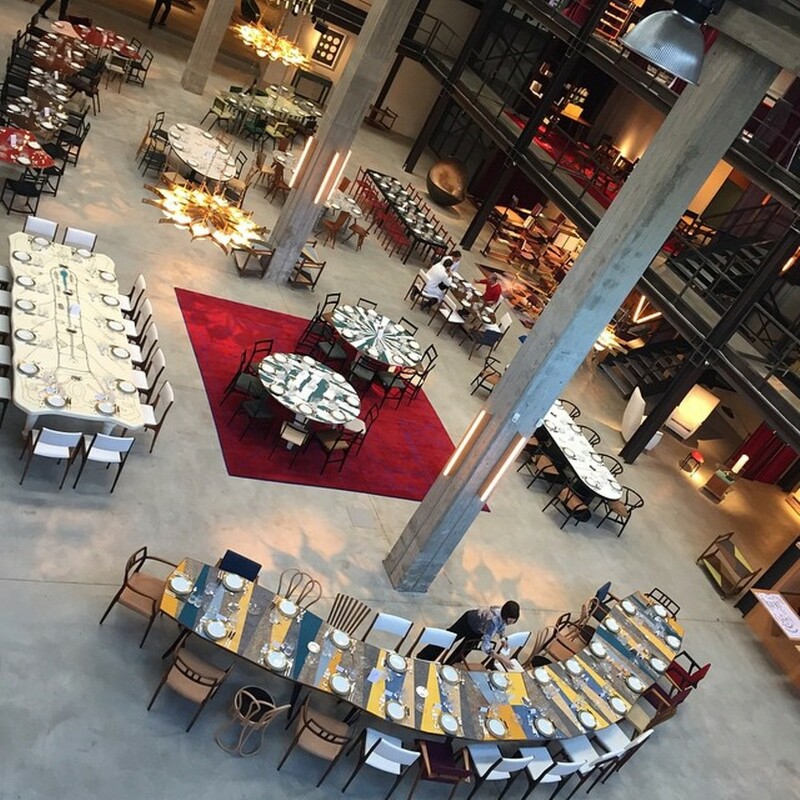 In the rejuvnated warehouse of the Gallery, guests enjoyed a dinner created by Martino Gamper in collaboration with Corrado Stocking Food & Co. 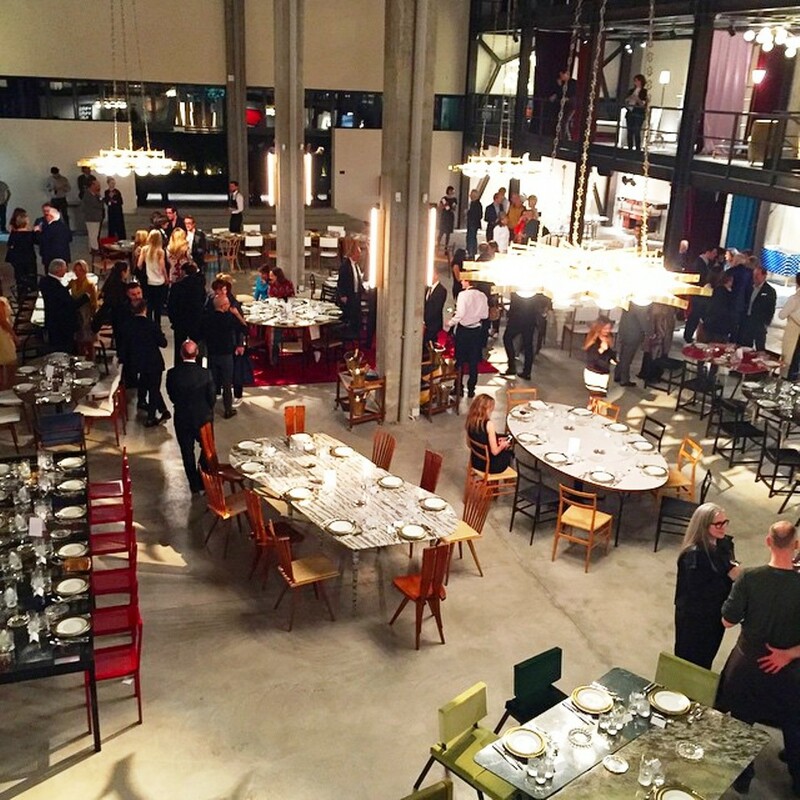 Incredible atmosphere, with tables and chairs all different copyright merged with the Richard Ginori ceramics 30 ‘s who made the monumental counterpoint over 3 metres tall and inspired at La Scala in Milan. 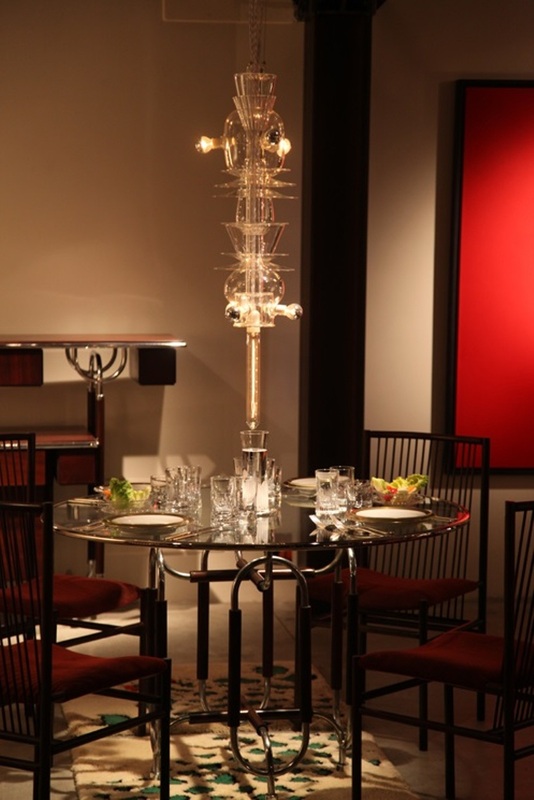 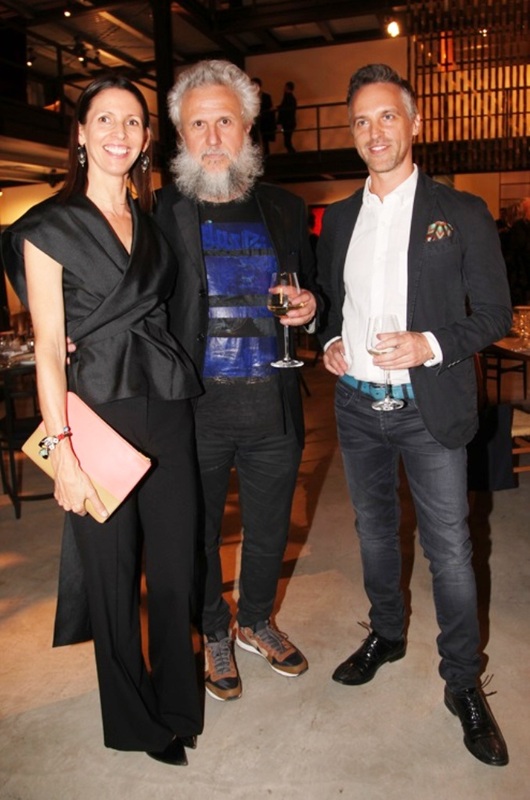 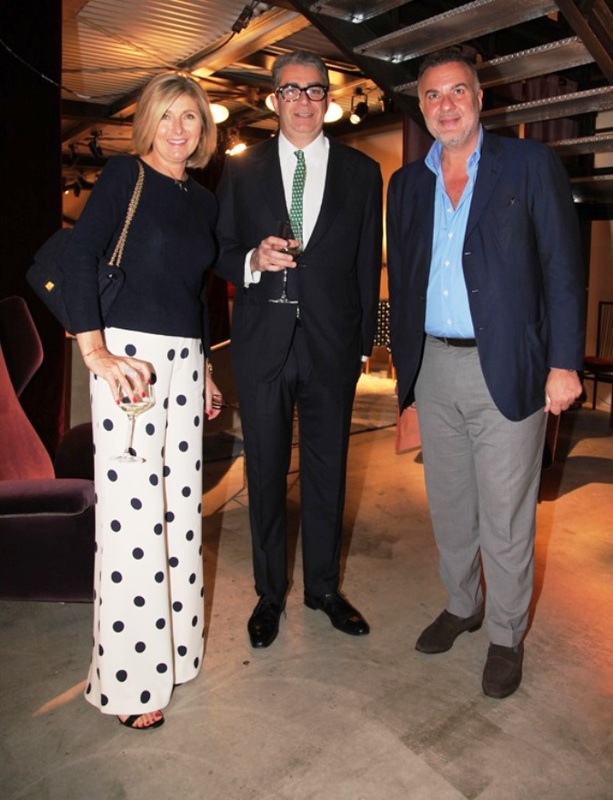 The conceptual and architectural interior masterpiece, designed by Anush Locatelli ( CLS Architetti ) welcomed the 140 guests at the dinner organized by the exclusive placé art gallery Nilufar. 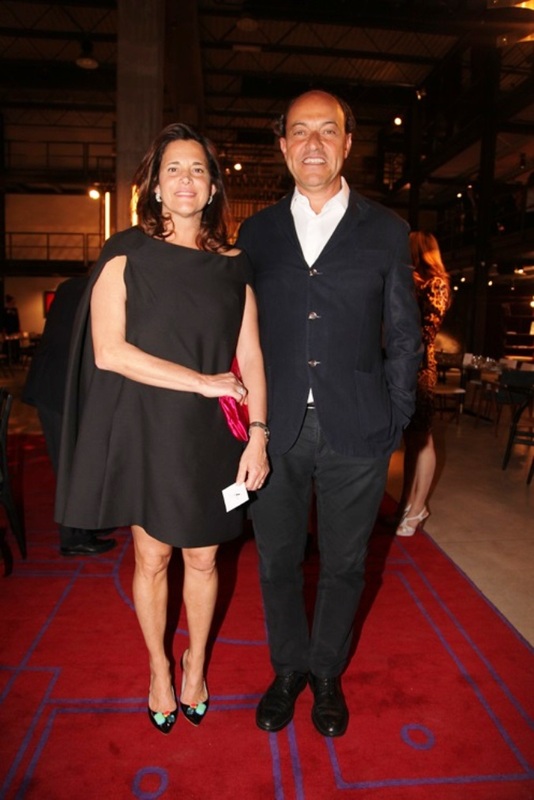 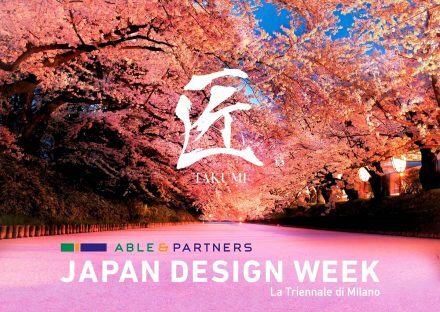 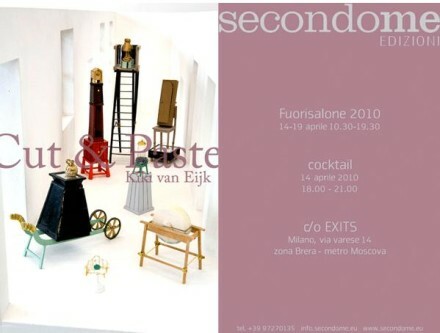 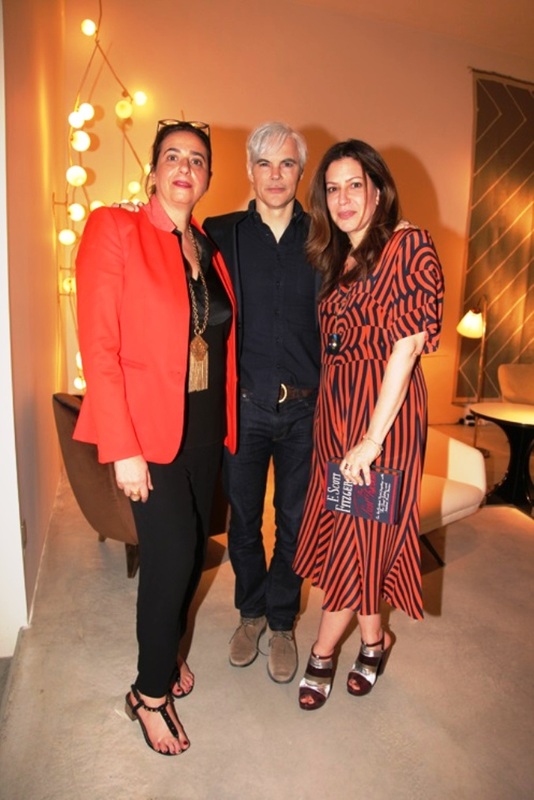 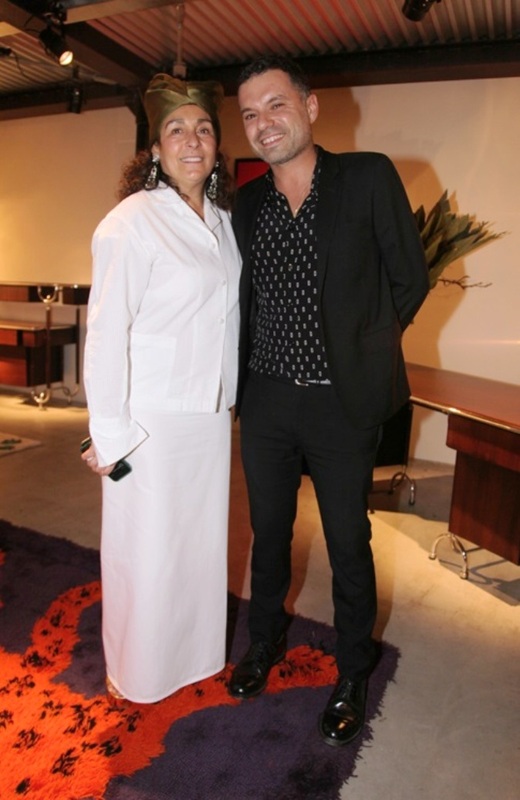 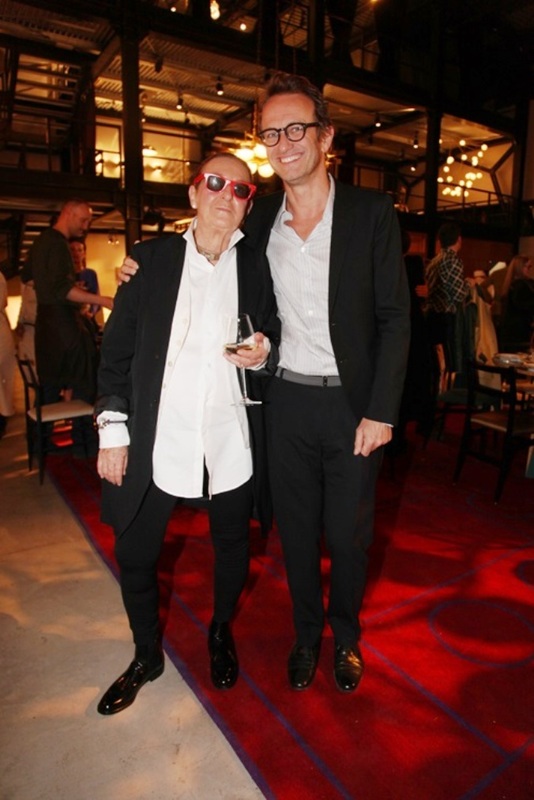 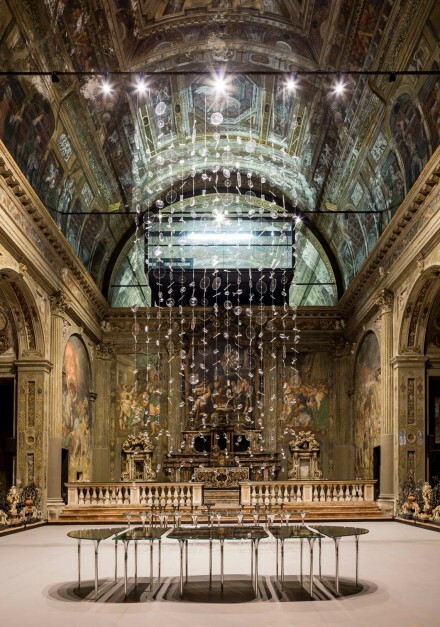 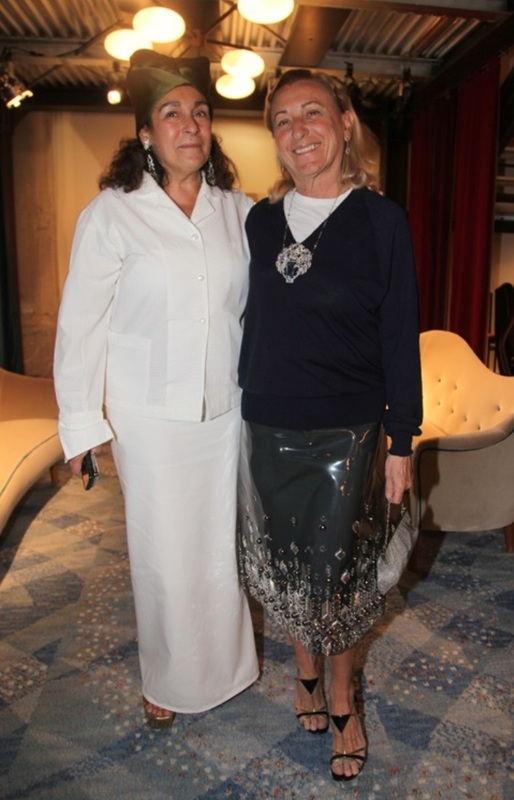 The event which saw as design partner J. Hill’s Standard and Moët Chandon, saw & participate, among others, the Director of Vogue Italy Franca Sozzani, Domenico Dolce, Miuccia Prada, Martina Mondadori, and Hosanna Giangaleazzo Visconti di Modrone and Marlene Taschen. 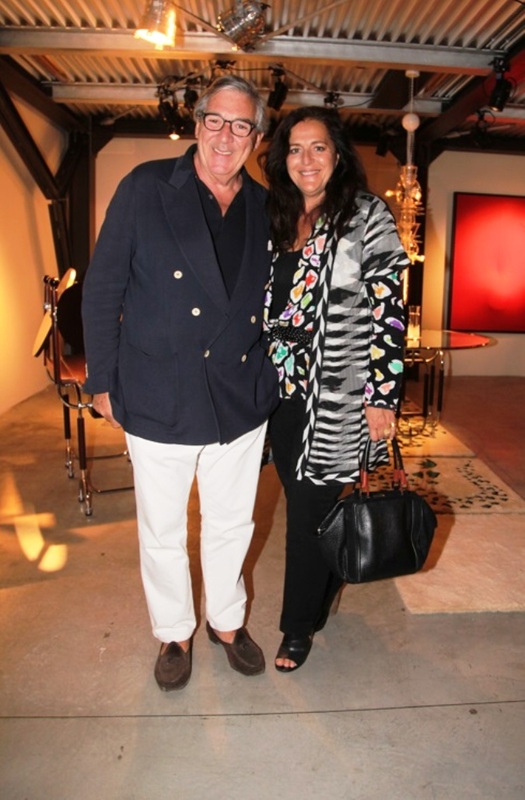 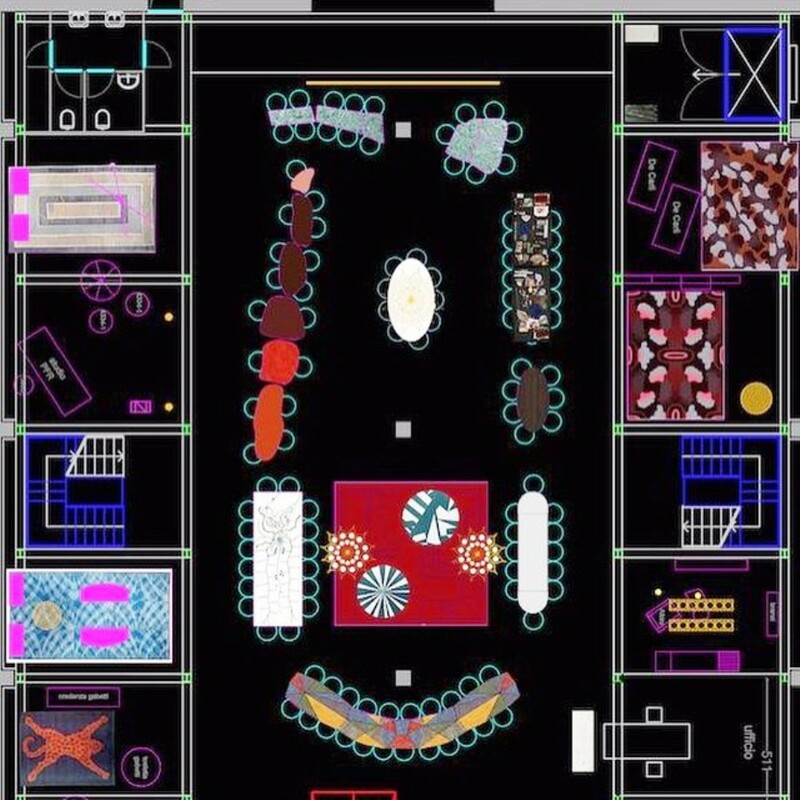 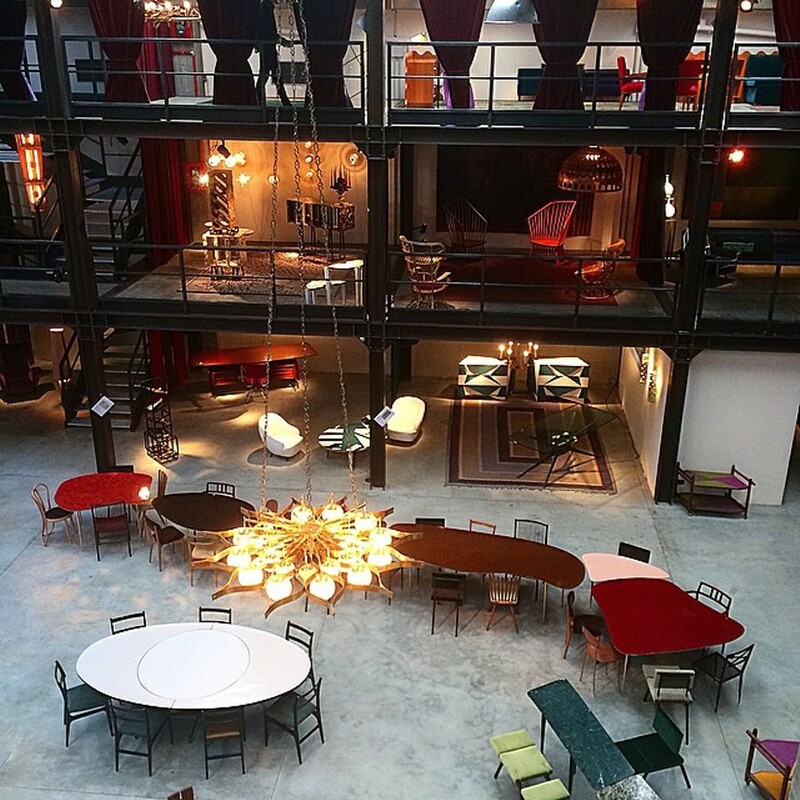 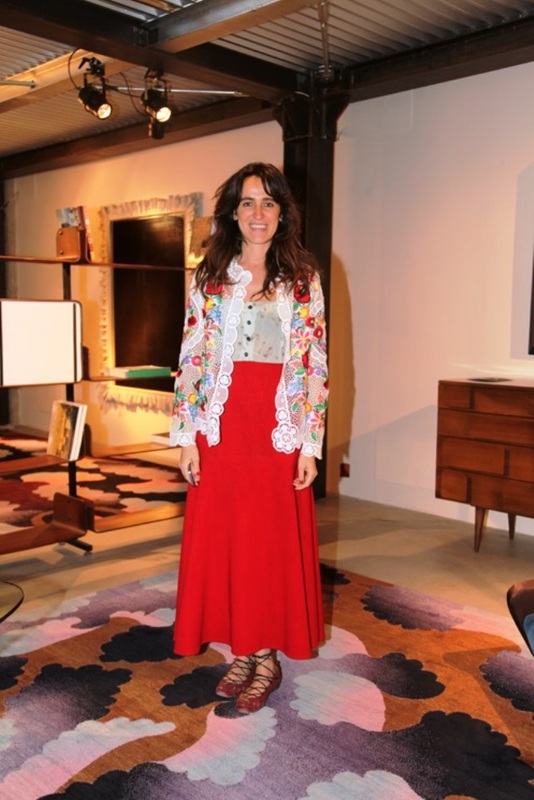 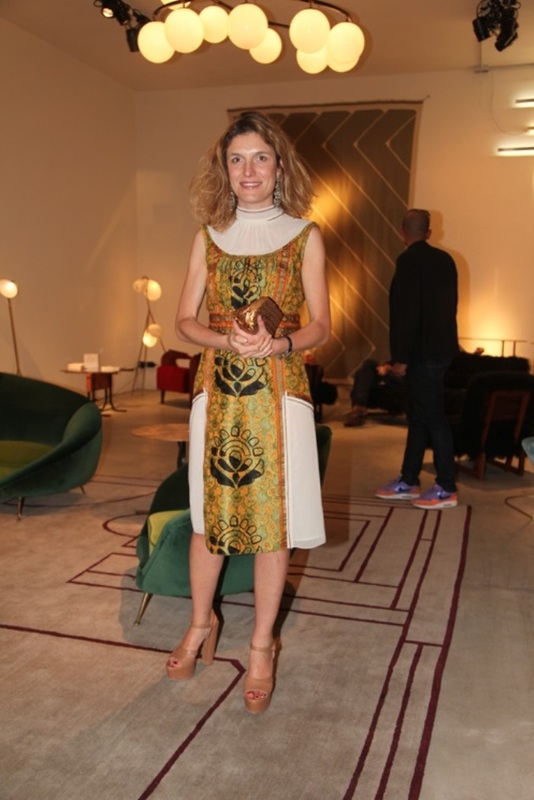 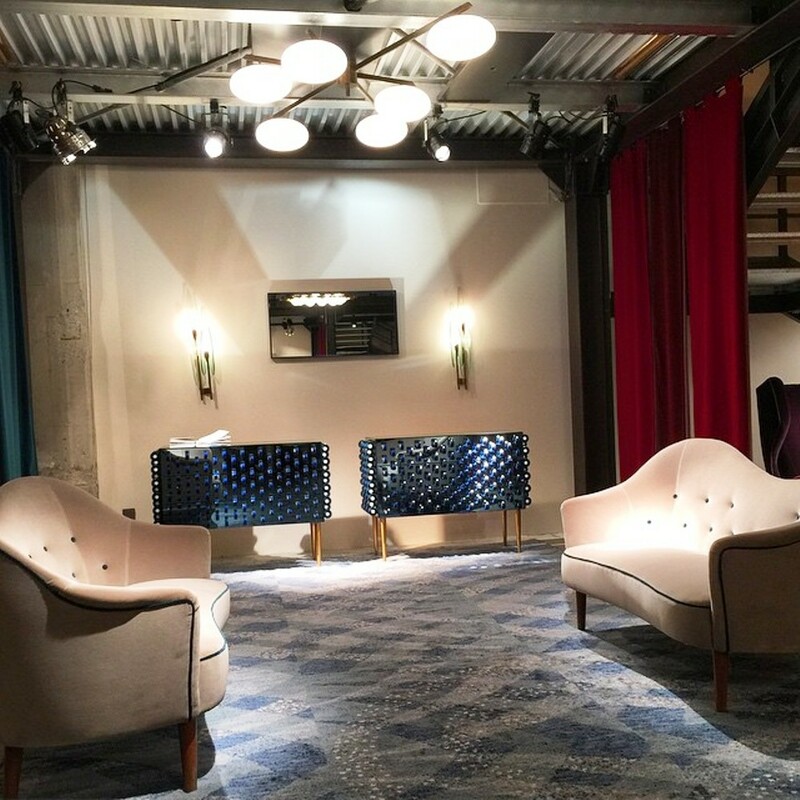 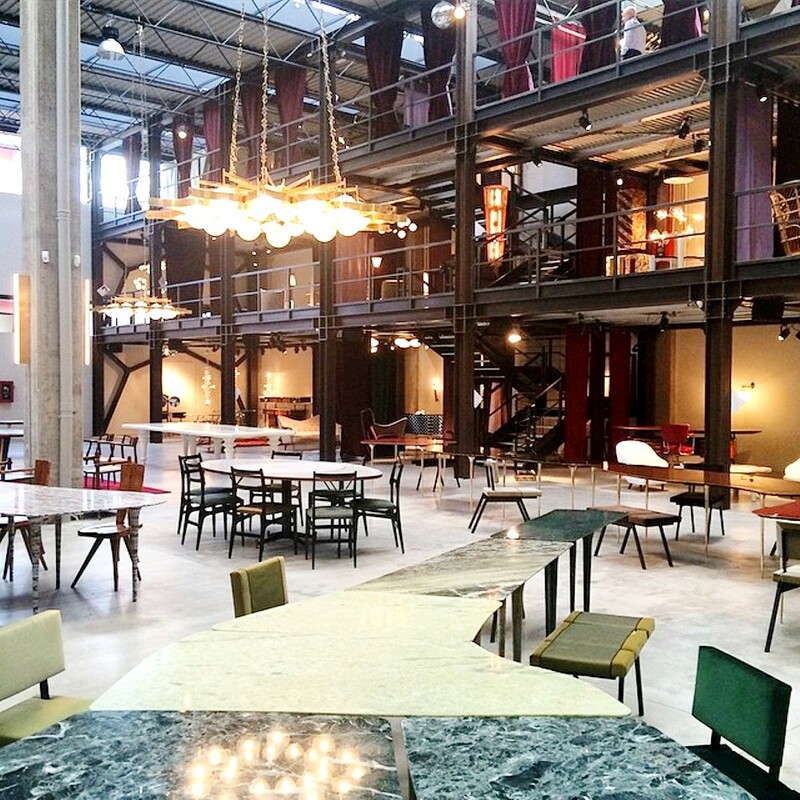 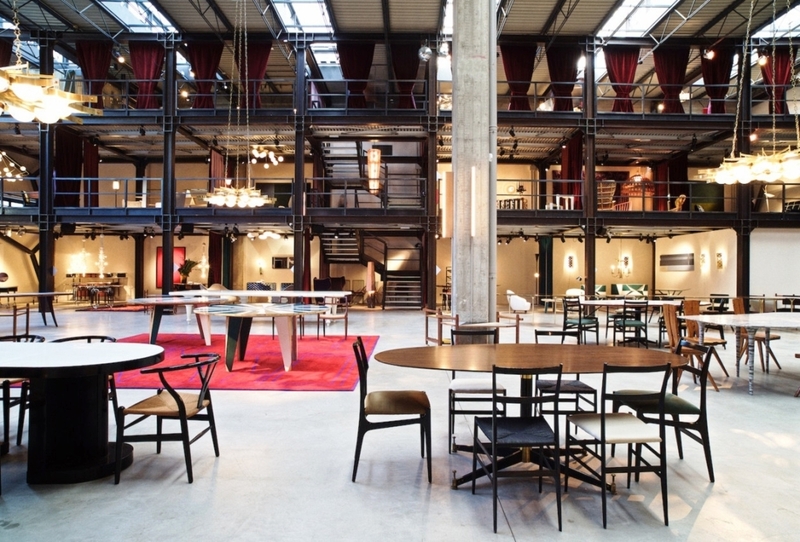 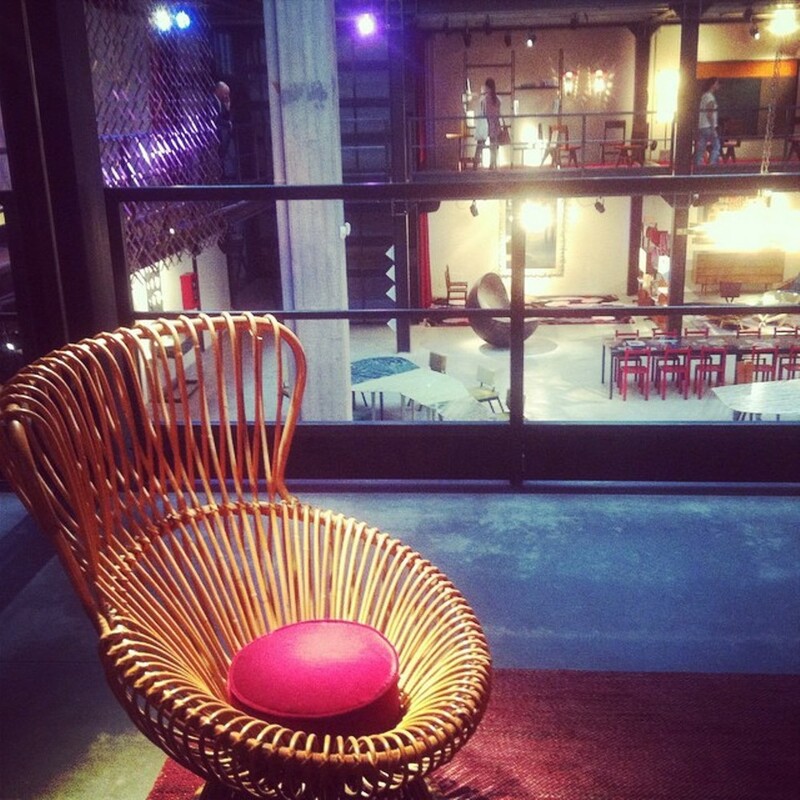 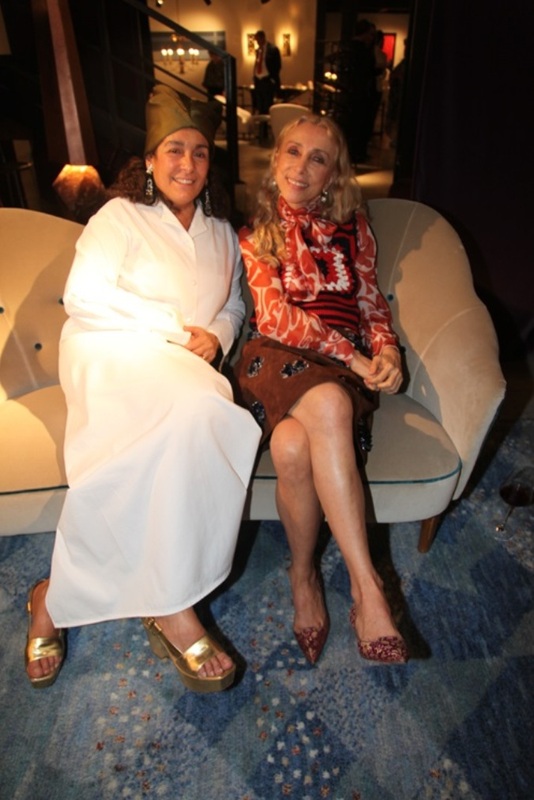 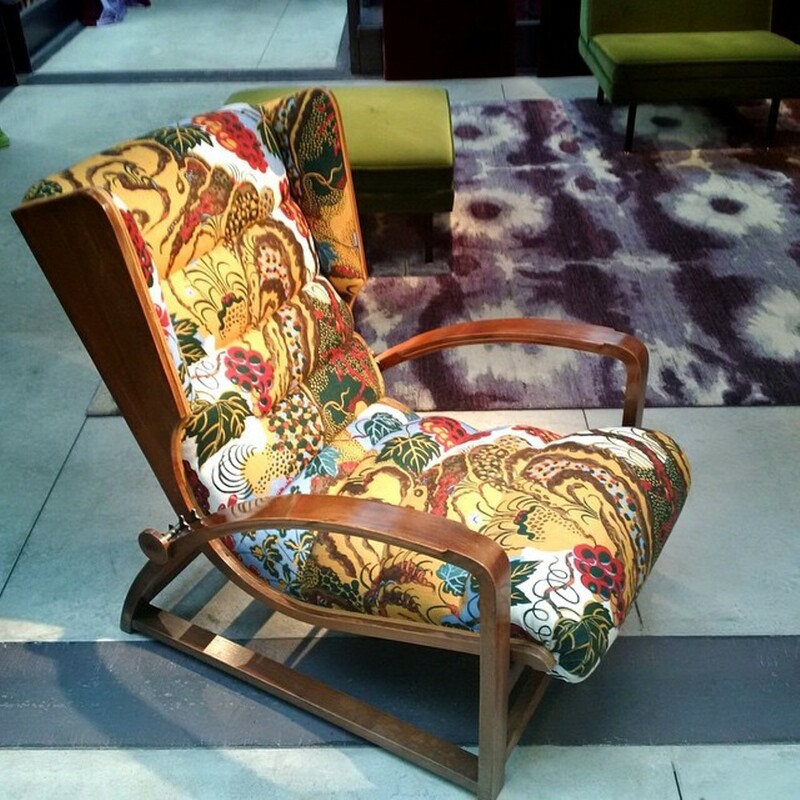 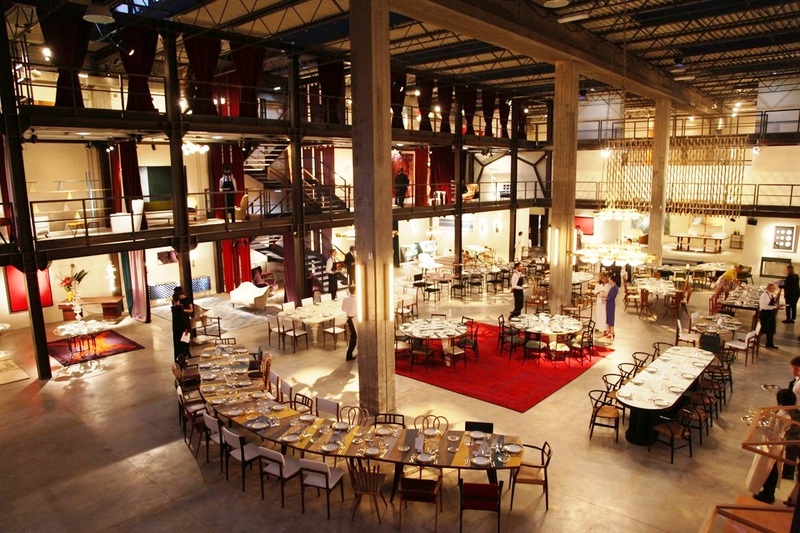 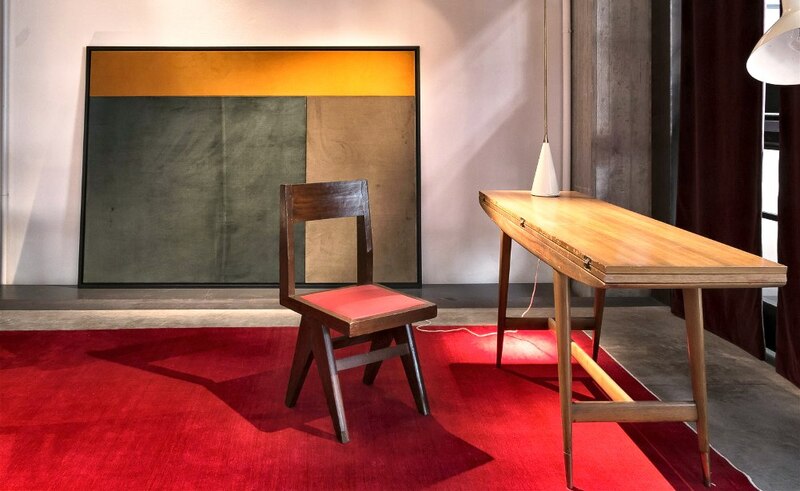 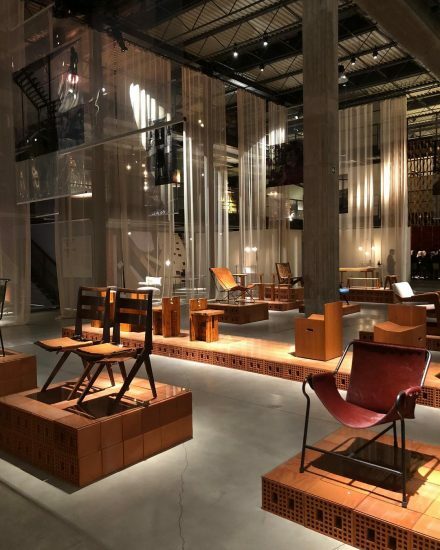 Nilufar owner Nina Yashar, collaborated with the Instituto Bardi Casa du Vidro in São Paulo, to bring together the largest number of furniture pieces by Rome-born Brazilian designer Lina Bo Bardi ever to be exhibited in one place. 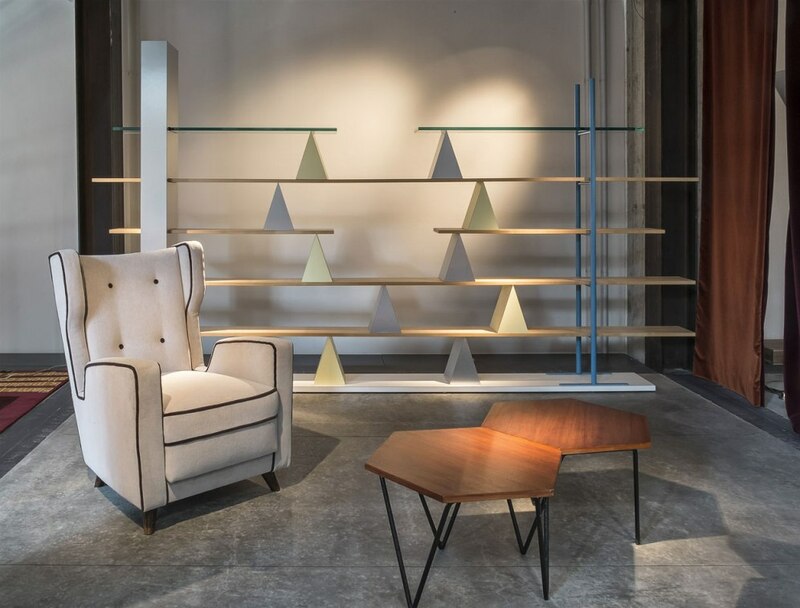 Yashar has managed to acquire an example of almost all of Bo Bardi’s furniture designs and she considers this the most important show of her four-decade career as a Gallerist. 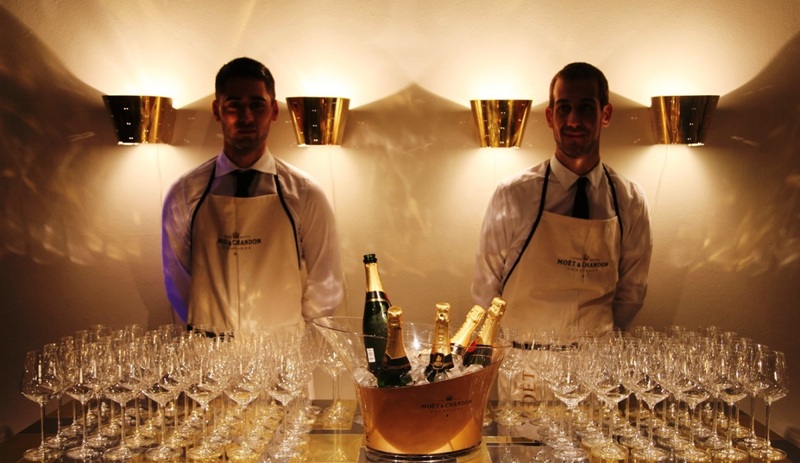 “Given the current state of consumption, new stuff must have a superior reason for existing….